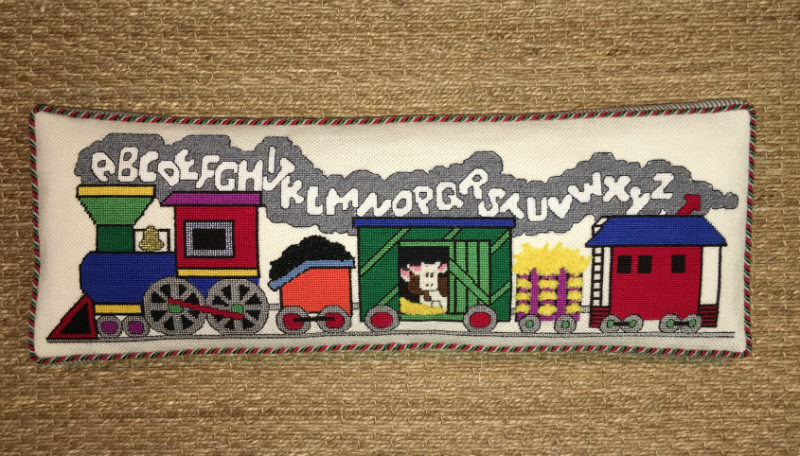 This train puffs letters as it steams along. Check the french knot coal and the fuzzy stuff hay! The pillow is backed in ticking that looks like an engineers hat. A lucky kid will receive this pillow. The train puffs letters as it steams along. Check the french knot coal and the fuzzy stuff hay! The pillow is backed in ticking that looks like an engineers hat.